The starter set for you, your athletic department, or the perfect gift for the coach on your list! What's Really Important dives into the conflict of high performance. 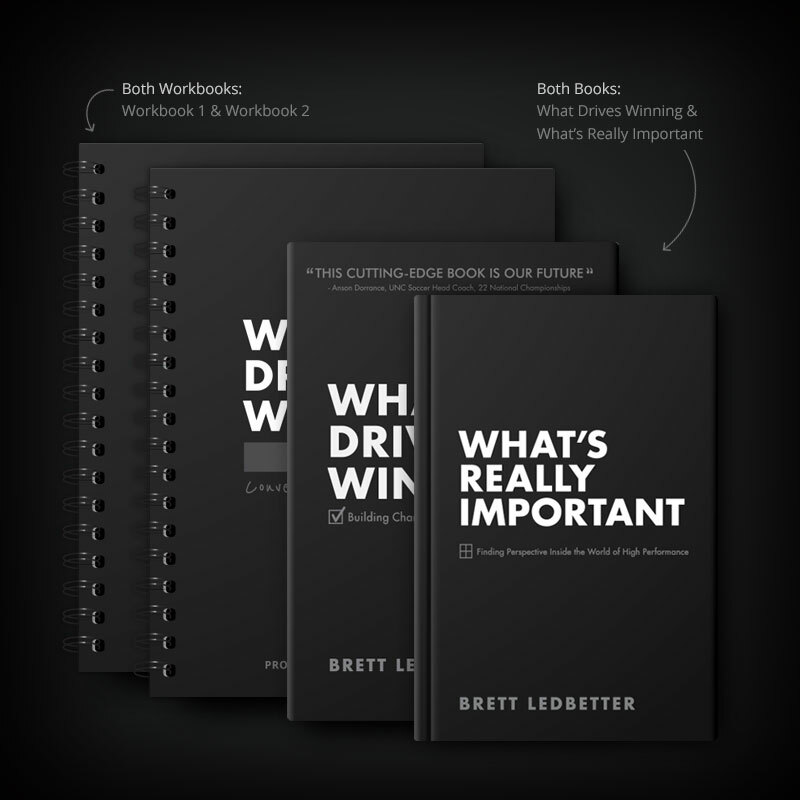 Brett uncovers stories, ideas and awareness from coaches at the top of their sports, seeking to answer the question: Can you win at the highest level without the collateral damage? 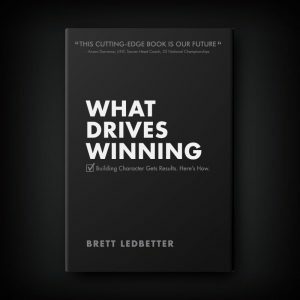 What Drives Winning is full of real-life examples and time-tested advice from some of the winningest coaches in sports history––Including a number of easy-to-follow exercises that help to better understand what drives winning for individuals and teams. 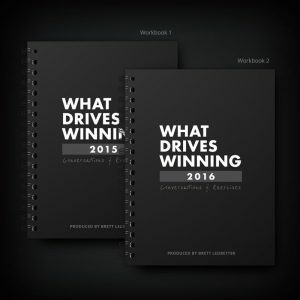 What Drives Winning Workbook #1 is a collection of adapted transcripts from National Championship coaches at our inaugural 2015 conference. This high quality, soft-bound book has more than 100 pages and 90 practical exercises for coaches. 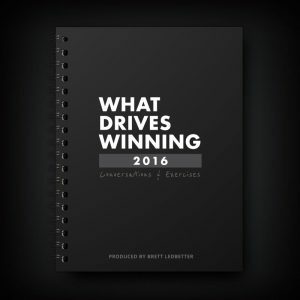 What Drives Winning Workbook #2 is a collection of adapted transcripts of 17 talks from National Championship coaches at the 2016 conference. This durable, spiral-bound book has more than 140 pages and 90 exercises. 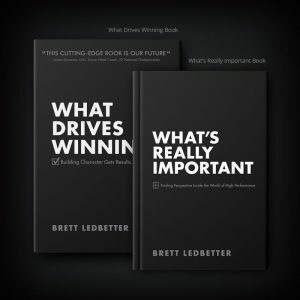 A portion of all sales are donated to What Drives Winning to help fund the conference and create resources that help repurpose sport to build character.